In an attempt to make people feel better about the impending fall and winter seasons, I wanted to spotlight two great (and free) neighborhood events going on in DC this week: Arts on Foot and Georgetown’s Fashion’s Night Out. Arts on Foot: Sept 8-11 (starts today! ): The Washington Examiner’s Arts on Foot Festival was created to showcase the District’s upcoming performing and visual art season. The event consists of a 4-day open air art market (Today through Saturday), as well as an arts festival on Saturday. The open air market will feature over 50 visual artists, as well as various wine and local food booths, so you can sip your wine and admire the art at your leisure. The Festival on Saturday then extends the art market by two blocks, converting unconventional spaces into art galleries and featuring preview performances of 25 DC theaters’ fall lineups at the Harman Center for the Arts. Details here!! 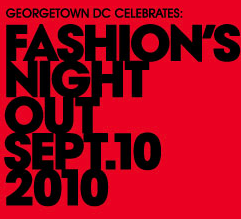 Georgetown’s Fashion’s Night Out (Sept. 10th): Fashion loyalists know Fashion’s Night Out in NYC, London and LA, but this year we can add Georgetown to the mix. Over 80 Georgetown shops are participating in Fashion’s Night Out on Friday with in-store events that include: trunk shows, champagne shopping parties, designer showcases, block parties, and promotions. Pretty much every fashion and home design boutique in Georgetown is participating, and from reading the list, there will be a lot champagne and nice clothes. Deadly, but fun, combination. 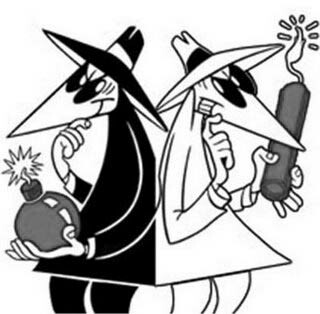 Bring a friend to monitor your spending. OH, and there are food specials too. Details here!!!! This entry was posted in DC Events. Bookmark the permalink.